Adding Physics to you game can add a wide array of new and interesting gameplay features. Creating a physics system to do that though is time-consuming, and you would usually want to outsource it to a third-party engine or tool. 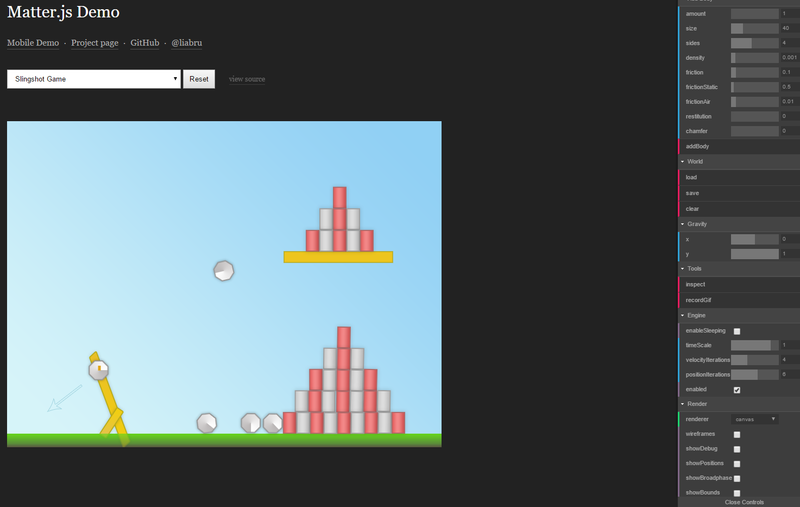 For HTML5 game development look no further than MatterJS. 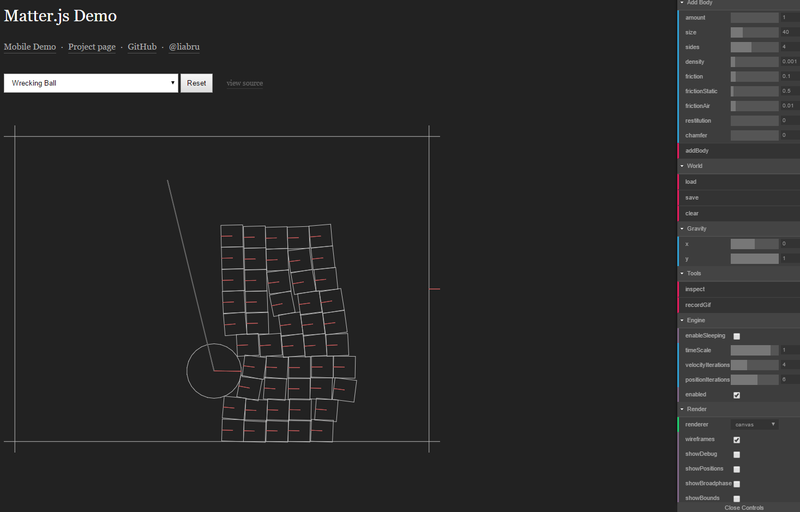 MatterJS is a full fledged physics engine for the web that you can add to your project. It supports a ton of features such as Rigid, Compound, and Composite bodies and all the physical properties you’d expect from them such as mass, density, and area. 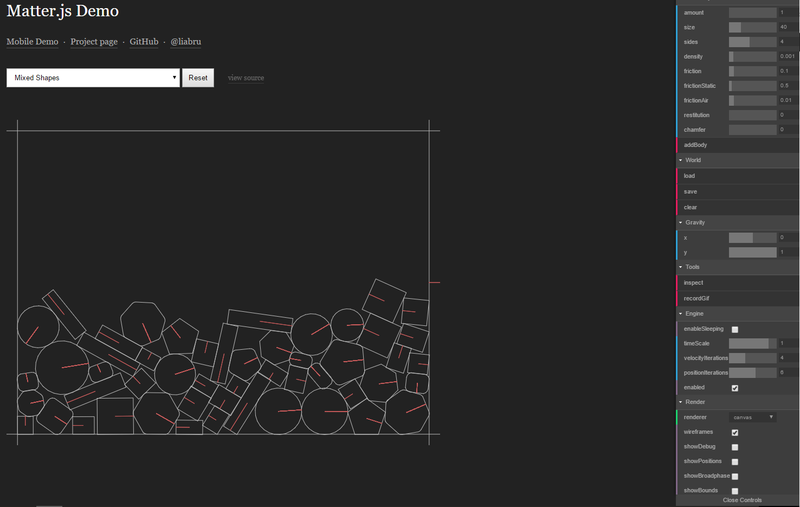 With tons of different settings for each object to modify there is a ton you can create with MatterJS. If you’re interested in MatterJS look at it here.